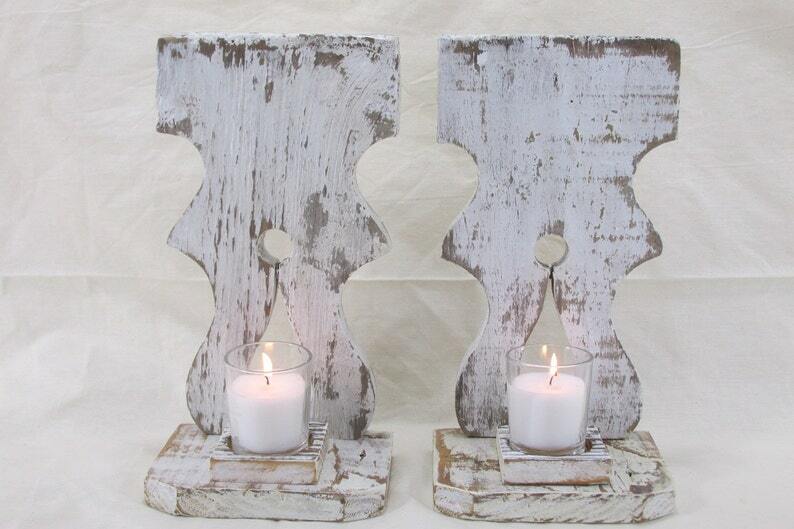 This Wood Candle Holder is of a rustic country farmhouse décor. 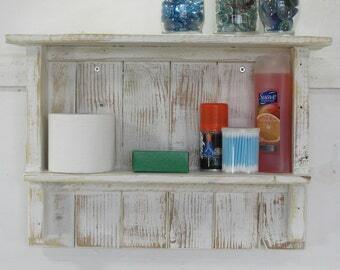 The votive candle holder is great as wood wall décor. This sconce is made by using material from an 1880`s Farmhouse porch baluster to create a vintage candle holder. The paint and lacquer have been applied and sanded to give the warmth of a gently worn finish. The bracket hardware to wall hang the sconce is installed on the back or it can be used as a free standing decorative item on a shelf. These unique farmhouse wall candle sconces are made from the front porch balusters of an 1880`s home. The wood has been sun-kissed for over one hundred years giving each piece a very special history of its own. This Wood Wall Candle Holder set will make a great gift for a wedding, an anniversary, mothers day, or even an awesome housewarming gift! All of the Wood Wall Candle Holders are cut, assembled, nailed and finished by hand. This is done in hopes that my work will allow this wood many more years of beauty and function. In a sense each are custom made, no two are the alike. 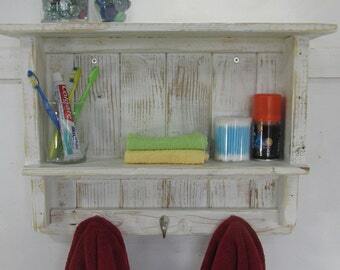 Due to the nature of reclaimed wood, there will be variations in the color, grain and texture of the materials. Every item produced is really one of a kind. ** The Votive Candles as pictured are included. 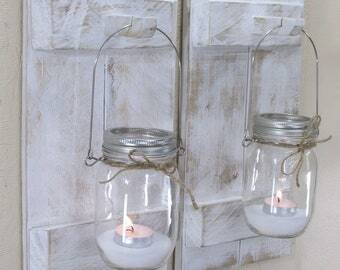 The Wood Candle Wall Sconces are each is 10 1/2 x 5 1/2 x4. Beautiful candle holders! Absolutely love them!!! Thank you so very much!! !